Christians were warned from the get-go that we would have persecution (1 John 3:13, Mark 4:17, 2 Tim. 3:12, 1 Peter 4:19). They were tortured in various ways, including being thrown to the lions (some atheopaths seem to want that practice reinstated, I have seen this image posted more than once). Today, atheist-run countries actively persecute Bible-believing Christians (such as China), and Mohammedans are rampant; they wiped out entire villages in Nigeria. This is only one example. However, many persecutions of Christians and biblical creationists in Western countries are subtle and insidious. Atheists and anti-creationists try to silence Christians and biblical creationists by demonizing us. After all, if you poison the well against individuals and organizations enough, who will want to listen to what we have to say — I mean, aside from bigots who seek confirmation for their biases? You will hear cries that we are "anti-science", which is based on conflating evolution and old Earth philosophies with the word science. This Machiavellian logic implies that if we reject their materialistic philosophies, we reject science itself. An intellectually honest person who peruses sites, books, videos, and so forth of biblical creationists can see for themselves that we use real science. I am convinced that in their efforts to suppress the truth (Rom. 1:18-23), anti-Christians seek to justify their rebellion against our Creator. One tinhorn calls God a liar. He also claims since the Ice Age is not in the Bible, the creationist view is "fictitious" (an idea that's plumb loco, but I don't have time to explain the logical fallacies involved). He also says the Bible teaches that the earth is flat. Further, he demanded an explanation of why dinosaur fossils have not been found at the Grand Canyon, was given a link explaining that neither secularists nor creationists expect this, ignored it, and kept on making the same demand. His approach seems to be a kind of Gnostic effort to deny the Bible while elevating personal philosophies above God's Word while simultaneously making a pretense of religiosity. All this while suppressing the truth. Old Earth proponents also deny the Genesis Flood. After all, if Jesus was wrong about the mustard seed, he was not really the omniscient Creator in the flesh. May as well ignore what he said about the Flood, God's design for marriage, and whatever else strikes a compromiser's fancy. After all, if the Bible has errors, then you treat Scripture like a buffet and pick out what you like. See how that works? In addition, propagandists spread the falsehood that the Bible teaches that the earth is flat, and that the church fathers also held to this error. In reality, the flat Earth idea was spread by anti-Christians. The tinhorn mentioned previously cries that the Bible teaches the earth is flat based on his mishandling of Matt. 4:8. (His error is clearly explained here, but he is too pusillanimous to accept correction. *) For a passel of links refuting the flat earth both scientifically and theologically, see "The Bible and the Flat Earth". Over in the formerly Great Britain, the rights of people to actively practice their faith is coming under pressure. (Of course, it is Christians and Jews that are targeted, not Mohammedans or atheists.) While saying that it is acceptable for parents to teach their children about faith, secularists contradict themselves by claiming that children are not receiving real knowledge. I reckon that secularists do not like having their monopoly on indoctrination in atheism challenged. See "The real extremism" for more about these efforts at censorship and persecution. People like this are intolerant despite their protestations that they favor free speech. Those with opposing view are attacked for expressing their views. Actually, we are hated for even having differing views. Especially because we uphold the Bible. Those people need to repent, and do it quickly. Who are the Active Censors? Sidewinders in the secular science industry are building on the "Christians are anti-science" pedagese. They maintain that we favor censorship and maligning the apostle Paul. in a straw man argument. One in particular is asserting that Paul was in favor of book burning, and that he was therefore anti-science. Folks who don't have the grit to use their think bones or even read the passage in question will accept this prevarication. Paul didn't order it, and may not have even known that the voluntary burning of occult books by people who renounced evil had happened. Religious schools are challenged to cave in to secular ideals. Religious liberty is under assault. For more on this, listen to or read the transcript of The Briefing for March 26, 2019. In December 1986, I received an inquiry from the Radcliffe Science Library, Oxford, asking if I had ever really held a Huxley Memorial Lecture on February 14, 1986. No records of my having held the lecture as part of the Oxford Union Debate could be found in any library. No part of the official media breathed a word about it. So total is the current censorship on any effective criticism of Neo-Darwinian science and on any genuine alternative. You can read the report with the above quote at "Fraudulent report at AAAS and the 1986 Oxford University debate". See the very last link on the page regarding the theft of intellectual property. Those who seek to keep us silenced, who keep creationist research out of the mainstream science publications, those who demonize people they hate, cannot use or understand logic ("You're a liar! Prove me wrong! 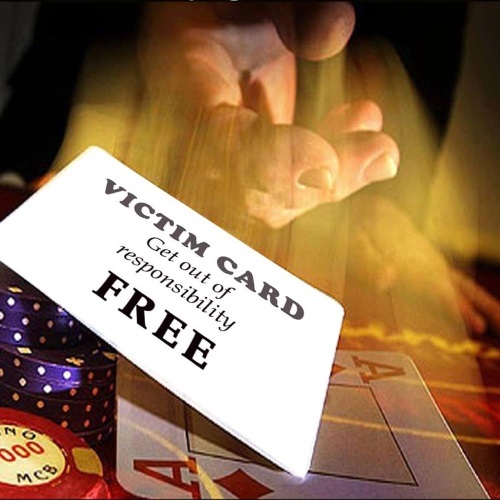 "), blatantly misrepresent Christians and creationists while playing the victim card — those jaspers are the real censors. Amazingly, secularists pretend that they are the victims and we are the oppressors. One reason such vile persecution succeeds is because people shun critical thinking. I also firmly believe that people are getting intellectually lazier nowadays. The subtle persecution continues. Paul warned that Christ followers would be slandered. A book review in Nature shows it is still going on.
. . . Robert P. Crease reviewed his own book – a practice that is quite unusual. At least we know what the author thinks of his own words. That Nature printed it without any criticism tells us that the journal editors pretty much agree with him. Their headline reads, “The rise and fall of scientific authority — and how to bring it back; Robert P. Crease harks back to the shapers of our scientific infrastructure and what they can tell us about how to handle the threat we now face.” Watch for the bogeyman! So what does Robert say about his own book under Nature's imprimatur? 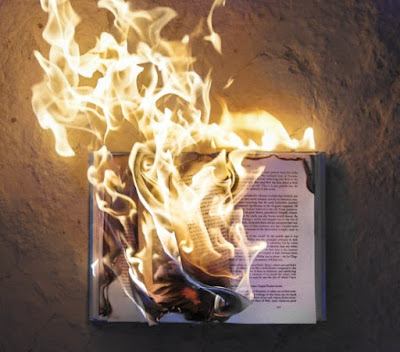 To read the entire article, click on "Was the Apostle Paul a Book Burner?" * As in the demand for an answer that he likes for dinosaurs in the Grand Canyon, he repeated this demand while dodging the topic under discussion. Apparently he is expecting others to be mind readers: for AiG to read his mail when he is blocked by them (and blocked by many other people). This makes me think of how leftists demanded the Mueller report about Donald Trump, did not get what they wanted, and are making fools of themselves by demanding more.